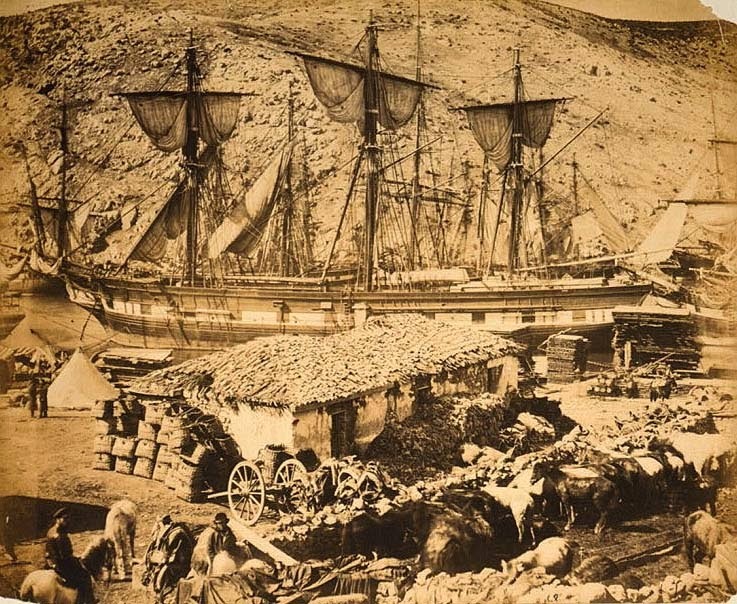 Ship at the the Cattle Pier in Balaklava harbour during the Crimean War. Roger Fenton, 1855. In the foreground a holding pen with horses. Balaklava Harbour was the main supply port for the British Army in the Crimea. However, it proved inadequate for the volume of traffic demanded of it. This problem was exacerbated by a storm on November 14th 1854 that devastated the British fleet lying at anchor there, and the onset of the harsh Crimean winter. The result was, squalid living conditions, shortages and suffering for the British soldiers.